I simply wanted to try this antenna. Heard a lot of different success stories about its performance and usability on the low bands. It was especially tempting I’ve read many times that “you cannot really mess up the antenna” as the parameters are not that strict and has no significant effect on the overall performance. I’ve been investigating a lot having the best possible solution which is feasible in my case as well. Besides many other the main info/solution sources were of course the 4th and 5th edition of LBDX by ON4UN and W8JI‘s great collection. I have a 30m x 85m garden where I can erect any kind of antennas. This is rather small for this purpose so needed to look for something larger. The crazy idea was born to utilize the frozen farming fields around. However this will limit my Beverage availability for winter times but I’d use this RX ant anyway only for the CQ-WW-160m and ARRL-CW contests so it will make it. 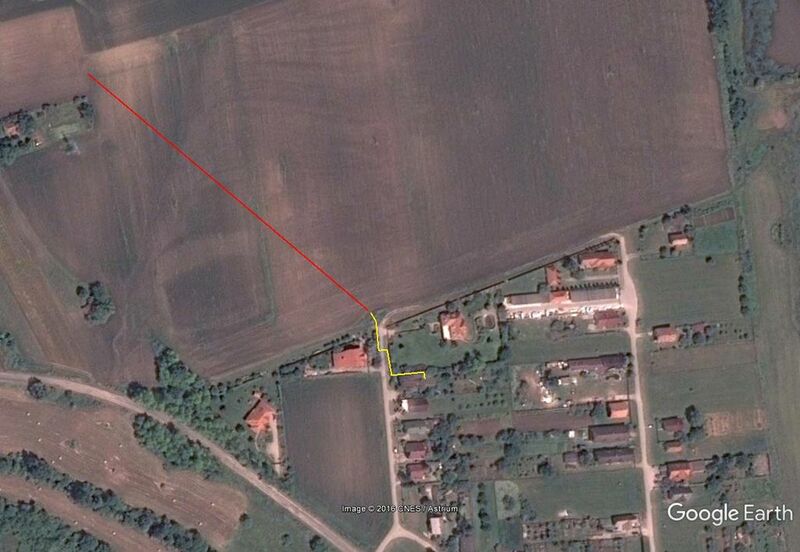 The legend is: red for the Beverage wire, yellow for the path of the coax used (~75m in length). 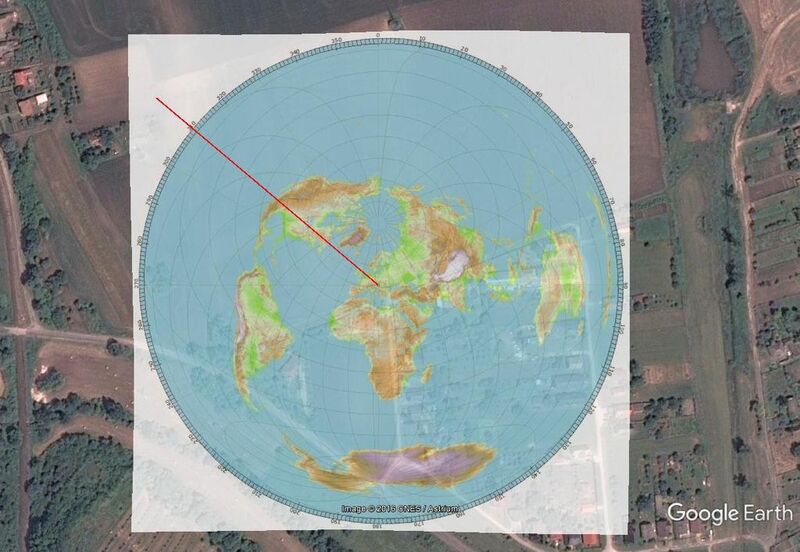 …chosen the exact 310 degrees direction towards the USA.